I grew up in western Montana and was always surrounded by lots of animals both wild and domestic. Through the years my family primarily had cats and dogs but we even had a horse and a mule for a short period of time. My journey to veterinary school was not a direct path. When starting my undergraduate studies at Montana State University, I had the intent to go to medical school as math and science were my favorite subjects. Over time, I realized that human medicine was not for me. I lived in both a dormitory and apartment in undergrad and pets were not allowed. This was the first time in my life that I could not enjoy the friendly wag of a tail when getting home or the comfort of a feline’s presence when staying up late studying for the next exam. I simply missed my pets far too much, they had such a strong presence in my life that I decided to focus all of my efforts on getting into veterinary school. My passion for animals would not only allow me to help pets but help their families too. Before long, I found myself at Colorado State University in Fort Collins, Colorado. 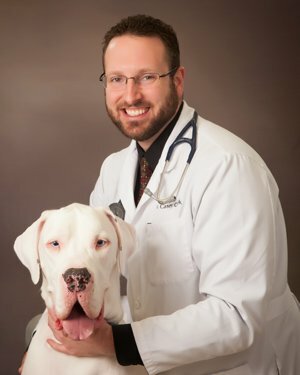 While in vet school, I had a golden retriever, a great dane and a cat that I adopted from the local animal shelter. After graduating veterinary school, I headed east to escape the cold and snow of the Rocky Mountains. I enjoy North Carolina and have made it my home. I have had many dogs but am a sucker for great danes. I have shared my home with cats, a guinea pig and even a chinchilla in the past. I enjoy live music, outdoor activities, and spending time with my fiancé and Shih Tzu terrier mix, Memphis.